Every person deserves to look at their health status rather than waiting for a disease process to be diagnosed. Waiting until after symptoms have manifested is often too late to reverse the outcome. 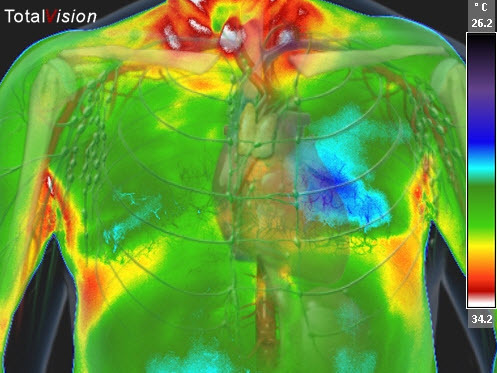 The Professionals at Lisa’s Thermography and Wellness want to do something about this. 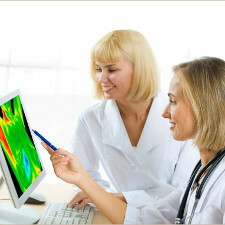 Instead of disease detection, we call Thermography “Health Discovery” – a very important part of your wellness program. 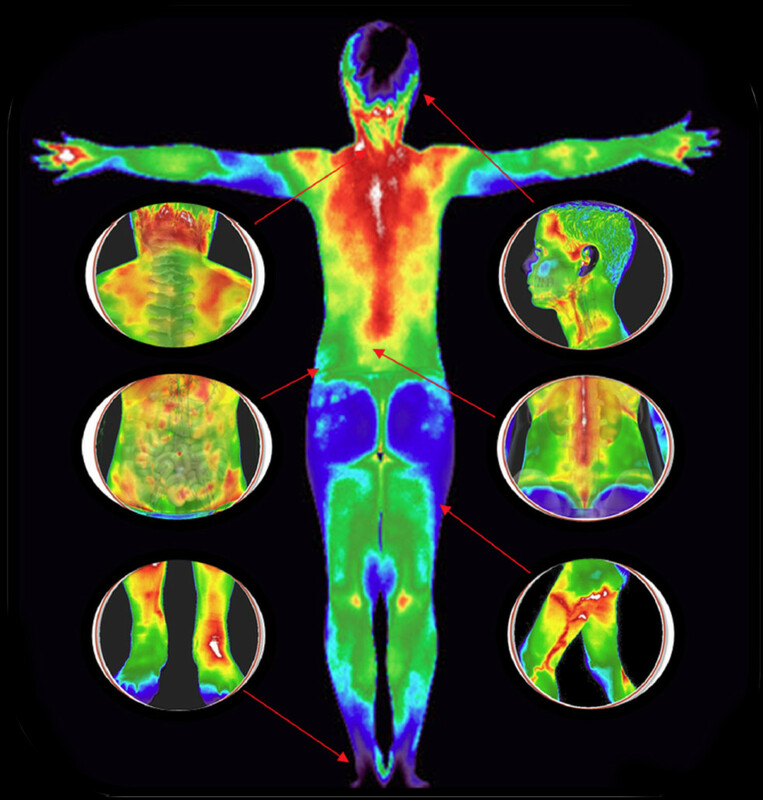 Thermography see’s inflammation, which is oftentimes the very first spark of a potential health problem. 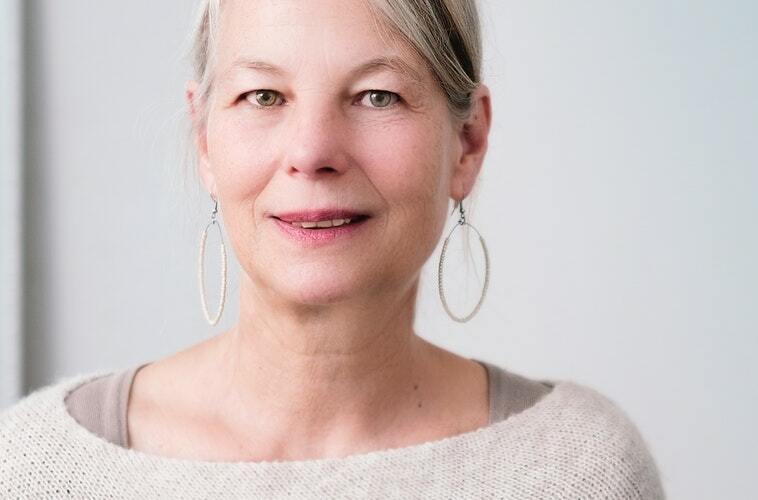 Thermography can give you the a look at the status of your health – in many cases long before you feel any symptoms or before a specific test is able to diagnose an actual disease. In a nutshell, thermography can see your body asking for extra help. the bad news is that you may not take it seriously enough to do something about it. How Can Thermography Really Help Me? What Happens When I Get a Thermogram? There’s a new high-tech tool that specifically measures skin surface temperature which may indicate an inflammatory process. It’s called thermal imaging, or thermography. In a nutshell, this tool creates a digital map of your body that illustrates heat patterns — patterns that may detect the inflammation connected to some condition or abnormality. It uses a scanning-type infrared camera that measures your body surface temperature, presenting the information as a digitized image. These thermal images (called thermograms) are analyzed for abnormalities that may be signs of disease-causing inflammation in your body. Additionally, since your body is thermally symmetrical if normal, thermal asymmetries can indicate problems. It must be stated that they are not stand alone screenings, they are an FDA cleared adjuct to mammography. Remember, it is not a replacement for a mammogram! Finding inflammatory patterns for further clinical correlation. Yes, it’s true. 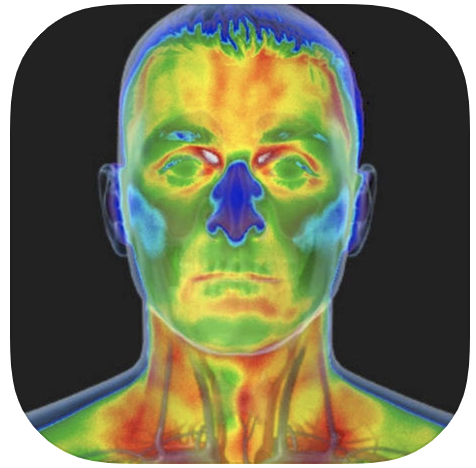 Thermograms provide you with information and treatment assistance in such conditions as cellular changes that could potentially lead to diseases, inflammatory processes, neurological and vascular dysfunction, and musculoskeletal injury. Medical Infrared Imaging is technology that detects energy in the form of minute changes in temperature to tenths of a degree Celsius. The blood is a supply line, transporting everything that the body needs to function efficiently. It is in constant metabolic movement, warming, oxygenating, carrying nutrients to every organ, removing waste, protecting and healing. When the body needs healing, it summons blood to the site, thus creating heat. Sometimes, if a specific organ is in distress, even mild distress, blood will be automatically re-directed from the surface to supply extra nutrient to the organ. This can create cool area on the skin. Because there is a map of the area of the skin that is directly related to each specific organ, it is possible, due to a cooler area on the skin, to identify a potential problem. 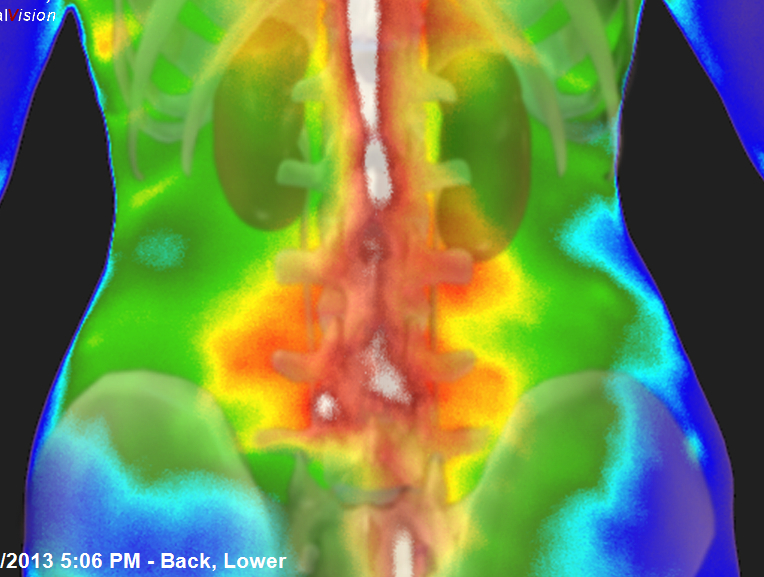 Thermography is not diagnostic for any specific disease, but it can alert the thermal observer to investigate further. So patterns, whether they represent expected, warmer or cooler temperatures are valuable information to anyone who is knowledgeable about thermal physiology. 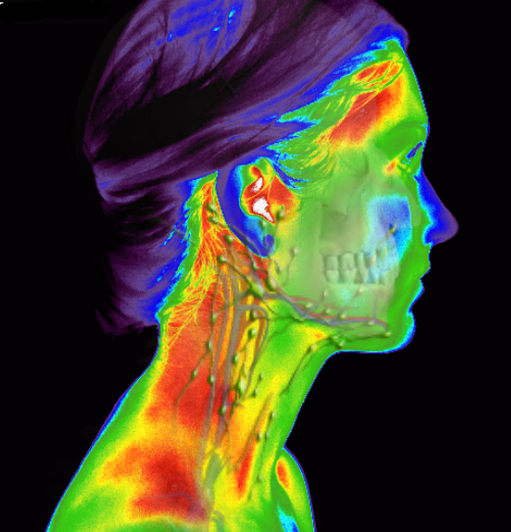 Thermography has great potential in sports medicine to prevent serious injury. Blood profusion, which is a functional response, even to minor injury can alert the athlete, trainer or physician to a potential major problem if it is not addressed before the injury becomes a major issue. The skin not only protects us from the outside world, but it is a functioning endocrine organ on its own! It produces all hormones and communicates with all organs and biologic processes in the body. How perfect that we are observing the skin and its response to hormonal and other endocrine processes. It is the body’s ultimate communication with the outside world, all there for us to observe with our infrared camera! The more we use infrared imaging, the more we learn and discover! This is merely a brief overview, but we believe this should provide enough information for someone who is interested in living a long, healthy life, to consider a full body infrared imaging. Proper breast self-exams, physician exams, and now thermography together provide you with a valuable tool for breast health. The first session provides the baseline of your “thermal signature.” The second session, usually 3 to 6 months later is a comparative study to analyze any changes. It is important to state for legal purposes that Thermography is NOT a standalone device, does not replace a mammogram and should not be considered diagnostic. Can assess pain and pathology anywhere in your body…. Thermography can assess heart function and may indicate inflammation in the carotid arteries (which may be a precursor to stroke and blood clots). When inflammation and/or occlusion of the carotid is visible, your doctor may do additional testing..
Arthritis: Thermography may help indicate early signs of arthritis — and differentiate between osteoarthritis and more severe forms like rheumatoid. Effective early treatment strategies can then be implemented, before you experience further degeneration. Sinus Issues & Headaches: Significant heat in your forehead or sinus region revealed on a thermal scan may be an indicator that these systems in your body are not functioning properly. Immune Dysfunction, Fibromyalgia and Chronic Fatigue: The immune system correlates to the T1 andT2 areas of your spine — high levels of heat in that region may indicate immune dysfunction. On the other hand, chronic fatigue, fibromyalgia, and aching joints are just a few complaints that correlate to cool patterns seen at this area. Step 4: You’ll receive a report of findings shortly thereafter. This will help you and your doctor determine any next steps. We also provide recommendations for ways to reduce inflammation, if present, and provide personal health coaching programs if desired. Step 5: We recommend you return for thermograms annually to monitor your health and watch for changes. Since everybody’s body is different, the best way to detect problems is to measure changes from your own body’s previous scans to establish a baseline. 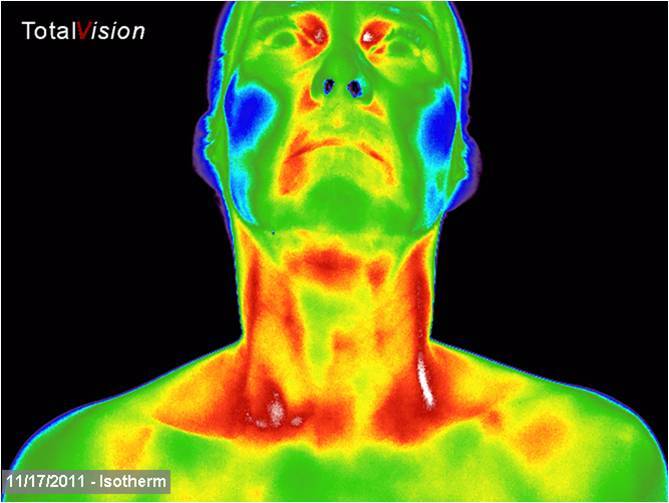 If you’ve never heard of thermography, you may wonder how credible it is. The equipment used is calibrated to measure to 100th of a degree centigrade. Thermographers are trained to exacting standards and must pass several tests plus keep current with continuing education. 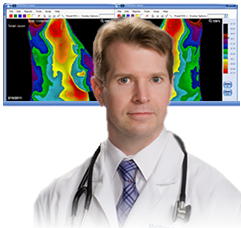 Your scans are actually analyzed and reviewed by certified medical doctors who’ve specialized in thermography. A detailed report plus your images are sent to you in 2 weeks. 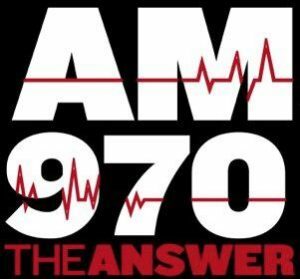 Suggestions for follow up and support or only a phone call away.